JayKay Janitorial & Cleaning Services LLC provides professional carpet cleaning for commercial clients, our hot water extraction carpet cleaning system ensures that your carpet will look like it was just installed every time we clean it. JayKay Janitorial & Cleaning Services LLC has been cleaning commercial carpets for more than 11 years. We have the expertise to make your carpeting look clean. Our complete carpet cleaning process includes deodorizing for odor removal and spot cleaning. Call (216) 505-1610 for a free carpet cleaning estimate. From Berber to plush, the professional carpet cleaners at JayKay Janitorial & Cleaning Services LLC know how to make your carpet look its best. No matter what type of carpet you have, JayKay Janitorial & Cleaning Services LLC has the equipment and the products to get rid of ground in dirt, stains, allergens, and dust. 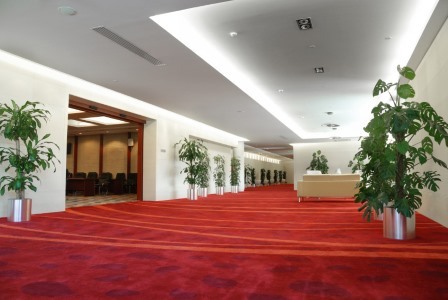 Our commercial carpet cleaners focus on high traffic areas, like; hallways, meeting rooms, lobbies, and waiting areas. We pretreat stains and high traffic areas. Then, we apply a commercial grade carpet shampoo for maximum clean. Carpets are thoroughly rinsed, using our powerful hot water extraction vacuums. Once your carpet is completely dry, JayKay Janitorial & Cleaning Services LLC carpet cleaners will groom the nap in high traffic areas for a just-installed look. For first class commercial carpet cleaning, call JayKay Janitorial & Cleaning Services LLC for superior results: (216) 505-1610. Ask about our commercial carpet maintenance plans.